If you need a spreader beam or lifting beam which has been built to a high-standard, our quality products in this category are suitable for use on either a forklift truck or slung from an overhead crane. 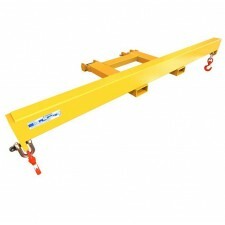 Designed to help safely handle wide or long loads, these beams can also be tailor made to suit your specific handling requirements. 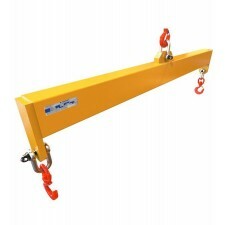 Lifting slings for the spreader beams can also be provided if required. Our lifting beams and spreader beams have strong hooks & shackles supplied as standard and are built with the highest quality in mind. Their practical & robust design affords low maintenance costs and a long service life. The products are also CE certified and tested to include the Health & Safety certificate. Explore our British-made crane & forklift lifting beams below to find out more, or if you any further questions about our spreader beams, contact us today.